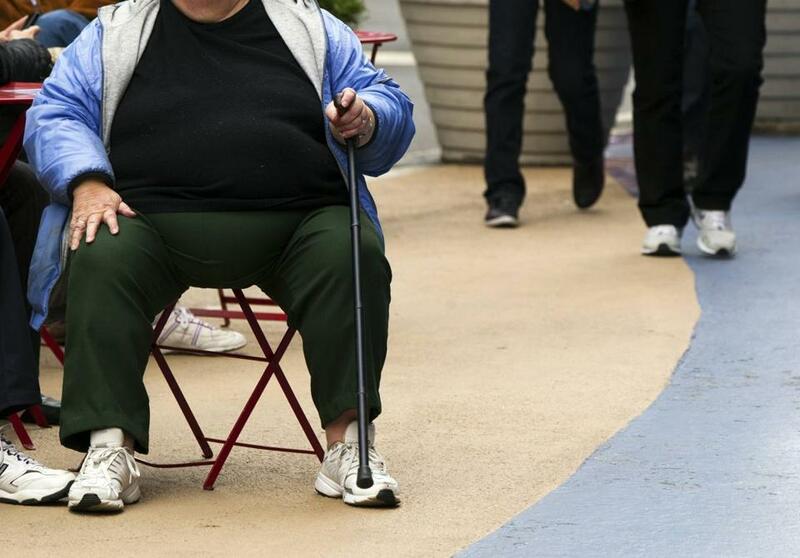 Over a third of Americans are now obese; nearly one in six are severely obese, with a BMI over 35. A new skirmish in the weight wars erupted late last month when fitness advocate Maria Kang put up a Facebook post criticizing a body-acceptance campaign that invited overweight women to share photos of themselves in lingerie. The post was reported as hate speech, which got Kang temporarily banned from the site (in error, Facebook later said). Kang — who earlier caused a stir by promoting a photo that showed off her well-toned body and her three young children, with the caption “What’s your excuse?” — can come across as smug and overzealous. But her message is right: The “fat acceptance” movement is hazardous to our health. Most studies do suggest that being moderately overweight is usually not a serious risk. There is also some (disputed) evidence that low-level obesity — a body mass index of 30 to 35, or a weight of 180 to 210 pounds for a 5-foot-5 person — may not be linked to elevated mortality. Yet “fat pride” is promoted by people like plus-size model Tess Munster, who weighs 260 pounds with a BMI of 42, and 300-pound author and activist Marilyn Wann. Do some very fat people live long, reasonably healthy, lives? Yes. So do some chain smokers. That doesn’t change the fact that obesity, like smoking, is a major cause of death and disability. And the statistics are grim. Over a third of Americans are now obese; nearly one in six are severely obese, with a BMI over 35. The rise in childhood obesity and related illnesses is particularly tragic. Is it responsible, in the face of this problem, to normalize and even celebrate excessive weight? While self-loathing is not a good motivation for self-improvement, neither is satisfaction with an unhealthy status quo. Kang had a point when she wrote on her blog that to better yourself “you have to — at some level — be uncomfortable with where you are.” Of course obese people should not be bullied; but neither should they be encouraged in the delusion that they are just fine. Pro-fat activists often invoke a recent study from the online medical journal PLoS One as evidence that “fat-shaming” leads to more weight gain, presumably by making victims too depressed to work toward fitness. But it’s far from clear that the study proves that. Its findings were based solely on participants’ own reports of weight discrimination. One possibility is that people reporting such experiences were more pro-fat and therefore both more likely to perceive any negative attitudes toward excess weight as anti-fat bias and less likely to want to modify their habits. In other words, the study may show that fat acceptance leads to weight gain. Speaking for myself, not liking the way I looked definitely helped me muster the self-discipline to get serious about diet and exercise when I was a few pounds away from obesity and well on my way to hypertension. What some would probably consider “fat-shaming” from family members and medical professionals helped as well. Our culture is prone to unhealthy extremes on many issues, including weight. Unrealistic ideals of bodily perfection certainly exist, and cause many, especially women and girls, to harm themselves through fad diets or obsessive exercise. The message that beauty and health come in different shapes and sizes is a positive one in moderation. But fat acceptance is no improvement on the thinness cult. It’s hardly good that one in four overweight Americans think their weight is normal, or that most underestimate obesity’s health hazards. The left-wing notion that the anti-obesity stigma equals bigotry (and patriarchal oppression, when directed at women) has parallels on the right. Many conservatives and libertarians see the “fatness police” as treading on individual freedom and expressing elitist scorn for ordinary Americans’ food choices. These knee-jerk reactions amount to enabling obesity. People struggling with weight deserve support; severe obesity is a medical problem rarely “fixable” through willpower alone. But the same is true of alcoholism. In both cases, the answer is to promote healthy behavior to prevent this self-inflicted condition, and to encourage treatment when needed — not to assist in denial. Cathy Young is a contributing editor for Reason Magazine.